For the past twenty-one days the members of our church plant have been fasting and praying together. Our theme has been “Sowing with Abundance.” We have been asking God to help us sow seeds of the gospel every day in an effort to win our neighbors to Christ. 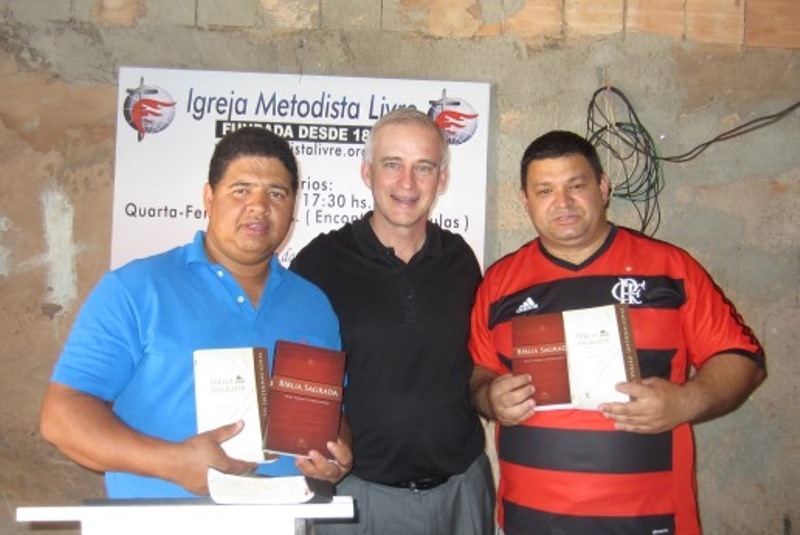 During the testimony time, two women shared how the pastor had challenged them to read the Bible from cover to cover for the first time in their lives. They testified to how their lives were being turned around. Another tiny seed was planted during my Theology of John Wesley class. I spent an hour one day sharing about Charles Wesley and his contribution to Methodism. I compared some of his hymns to modern day choruses, showing the difference in theological heft from one to the other. I challenged my students to choose choruses for their church worship services that glorified God rather than just “feel good” songs. Little did I realize that one of my students was a worship leader in his church and would put that advice to practice immediately. Lastly, I have written about the inductive Bible study with FM pastor’s wives that was initiated soon after our arrival. One of the women, Chris, was so changed by the study that she began to teach the material to anyone who would meet with her. The Lord continues to open ministry doors for her and many lives are being transformed as she teaches God’s word. Praise the Lord who uses our meager efforts to bring honor and glory to Himself. What a wonderful report. Praise God. How encouraging to read how God’s people are growing as they listen and read God’s Word. I agree with both of the thoughts above. Praise the Lord!